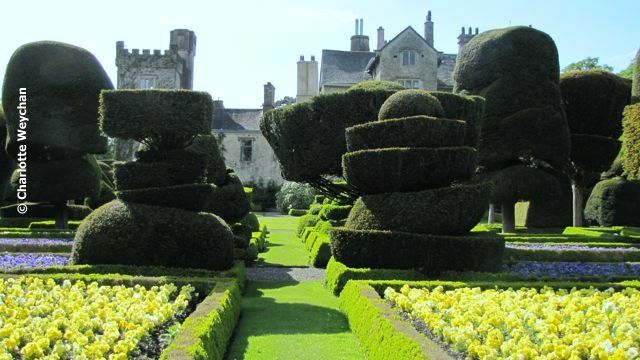 Levens Hall, billed as one of the "best topiary gardens in the world"
Cumbria has more than its fair share of beautiful, and unusual gardens - starting with one of the best topiary gardens in the world! But there are also two other remarkable properties within spitting distance that you should add to your list of "Must See Gardens" in this area of outstanding natural beauty - Holker Hall and Sizergh Castle. 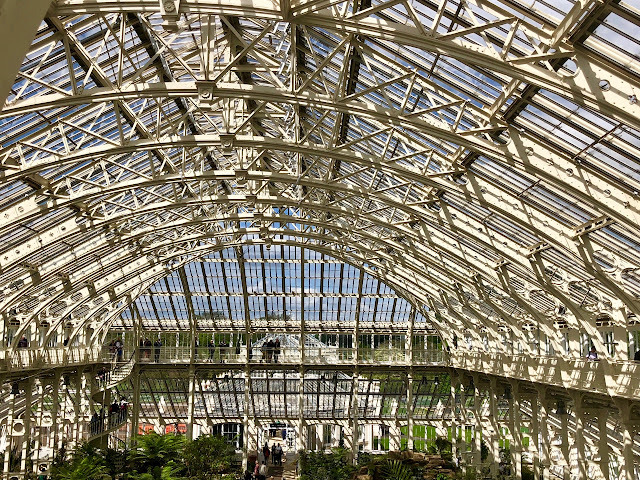 It may be a little ambitious trying to visit all three in a day, but you'll definitely cover them in two and the area is so rich in gardens that you'll be able to fit in others en route. Start at Levens Hall (top), billed as one of the best topiary gardens in the world and deservedly so. You'll be amazed by the surreal and immaculately scissored shapes and the magnificent underplanting. 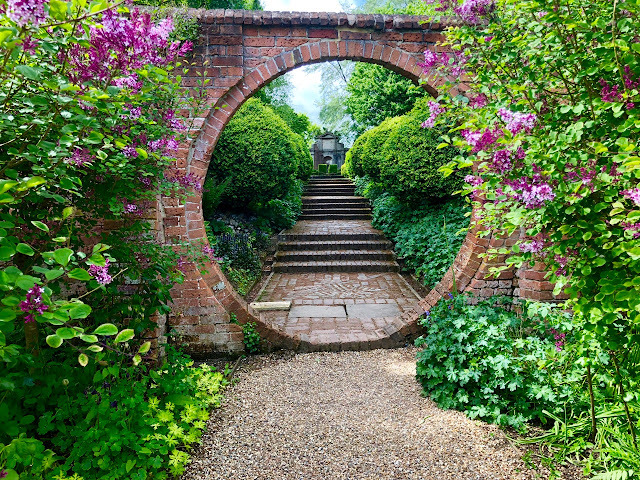 Click the link to see more of this wonderful garden! 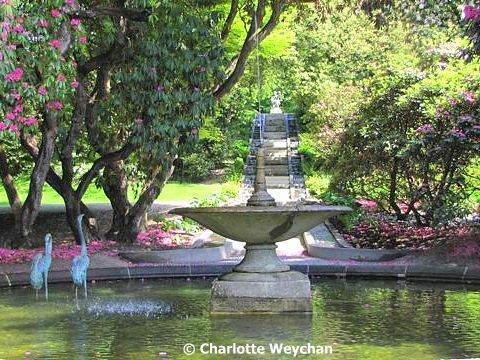 Then move on to Holker Hall with its 200 acres of landscaped gardens, complete with Italianate water cascade and fountain and the formal garden adjacent to the house. This is really a spring garden, but the landscape retains its beauty in summer and part of the joy of this part of the world is the rolling hills that you drive through en route to the gardens. Chances are that you will keep making exclamations of surprise as you view the landscape ... I did! And you'll get views of the sea en route here. Your first view of Sizergh Castle gives you no indication of the wonderful gardens! 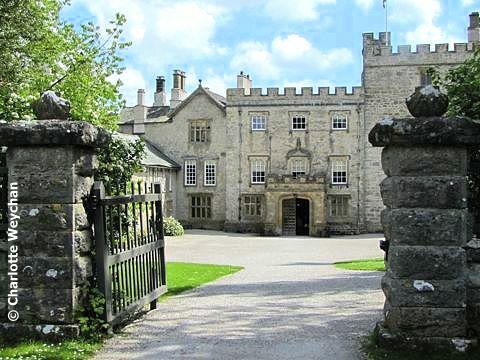 But make sure you don't miss out on Sizergh Castle, just a short drive from Levens Hall. The castle was originally built to protect the local inhabitants from invading marauders, but today is a peaceful haven with stunning gardens, including a Rock Garden added in the 1920s, an immaculately maintained Dutch garden, vegetable gardens and the chance to walk in verdant countryside. I was amazed to see this garden gets little more than a cursory mention in "The Good Gardens Guide". But rest assured, it's well worth visiting! 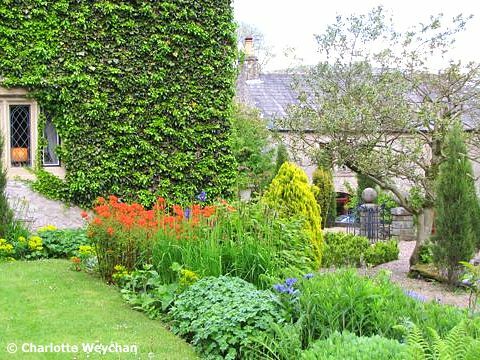 And if you're looking for somewhere to stay in the area, my recommendation is Austwick Hall at nearby Settle - a delightful house with its own stunning garden and rooms and food to die for! You'll find fantastic bluebell displays in springtime; glorious borders throughout the summer; lovely views over the surrounding countryside and hospitality that's hard to beat. I enjoyed my stay here so much that I'm planning to use this charming hotel as my base for all future visits to the Lake District. I've been to Levens Hall, well worth the visit, it has a real sense of place and calm about it.